WELL, HELLO THERE! Great to see you again! Or, indeed, for the first time if we've not met before! Tea or coffee? Biscuit? Leftover Christmas chocolate? ... Celery? Seriously, eat everything, I'm moving house tomorrow. That hiatus was ... well, it was rather longer than I expected. In my defence, I did only take six months off comicking, and have totally been updating a webcomic for the two and a half years that followed. But, yeah, turns out Kaspall took rather longer to finish than I expected. 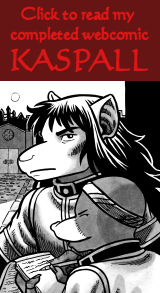 Still, it's complete now, so if you fancy reading a long-form anthro fantasy detective comic from beginning to end, there's one right here. It's got an epilogue and everything. So, here we are, back with Toby and Marion. This is short story to start with - I wanted to get back into the swing of things without taking on anything too massive. Though drawing a supermarket turned out to be rather complicated in itself. I'm a bit nervous to be drawing these guys again to be honest, especially since quite a few people seem pretty excited about them coming back ... but I'm just going to carry on with what I was planning, and hopefully you'll like it? I guess? O_O *doesn't cope well with expectations*. Yes, I've finally got my act together to launch a Patreon campaign! I know, I know, I should probably have done this some time ago, but better late than never, right? If you haven't come across Patreon before, it's a way of donating a small amount to a creator every month to support their work (and by small, I mean you can donate as little as $1 per month ... or, you know, throw me a $100 a month if you like, I'm not fussy). 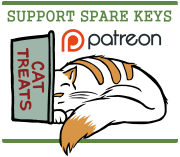 All patrons get access to Spare Keys pages one week early, and the more you donate, the more goodies you can net! Check the rewards (and goals) on my Patreon page to find out more. 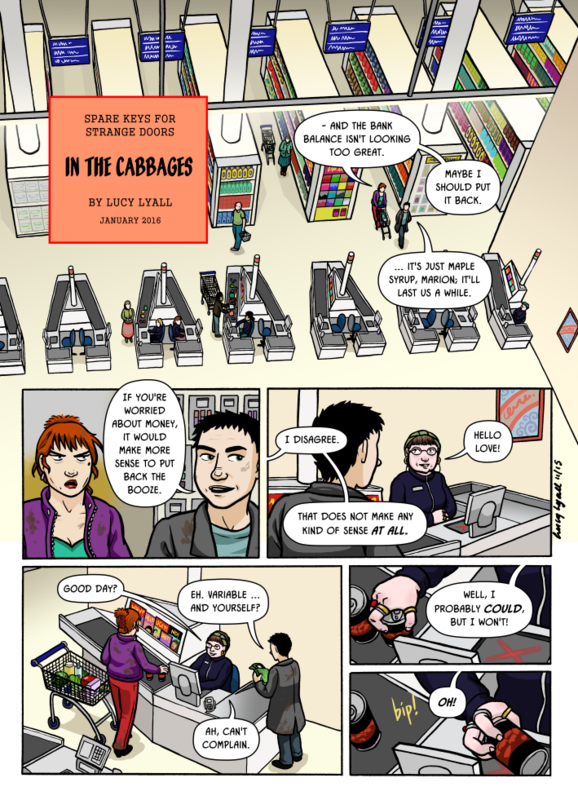 I have uploaded the second page of this story to Patreon already - but, uh, I then realised that I'm not sure people can see posts that were made before they became patrons. I think you should be able to see anything posted in January, but if you sign up and can't see page 2, then let me know, and I'll repost in a couple of days.